South Korea announced on the past Friday that it would resume the construction of two nuclear plants, despite President Moon’s campaign promises to end the projects. President Moon had ordered a temporary suspension of construction of the Shin Kori-5 and Shin Kori-6 in Ulsan in late June. Since then, the decision to continue or end the construction of the two reactors became heated between the conservative champions of nuclear power and antinuclear groups. Environmentalists and other opponents of increased nuclear power have expressed their disappointment and dismay at the decision. Opponents have become particularly concerned about nuclear power since the Fukushima disaster in Japan in 2011. Worries intensified when a 5.8 magnitude earthquake near Ulsan hit near some plants last year. 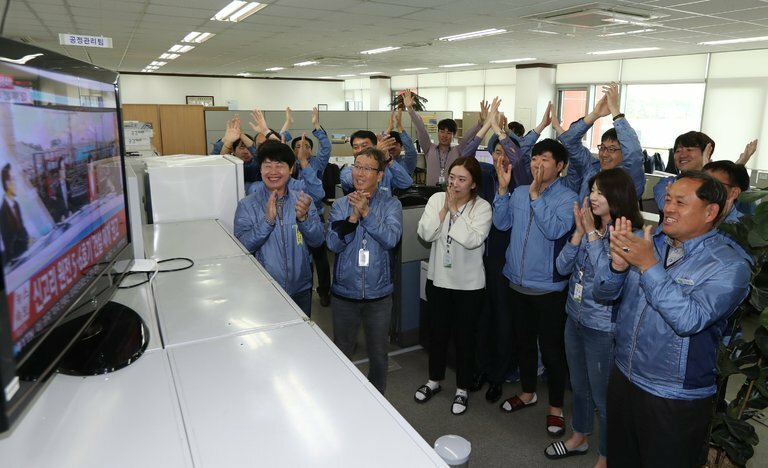 However, in June, President Moon proposed an independent panel of 471 citizens to study public opinions on the issue and make a recommendation. The citizens came from various walks of life and conducted extensive surveys. It was announced on Friday that three-fifths of the panel supported the resuming building of the Shin Kori-5 and Shin Kori-6 reactors, while the remaining were opposed. The Moon administration said it would respect the decision of the public opinion. However, many have argued that many South Korean citizens have been forced to consider the necessity of new nuclear plants. The government-controlled Korea Hydro & Nuclear Power Company, the country’s sole nuclear operator, has spent $1.4 billion on the construction of the two reactors and has invested heavily in promoting nuclear power. With the construction of the two reactors, South Korea will have nine nuclear reactors in one cluster, on a scale that is globally unprecedented.